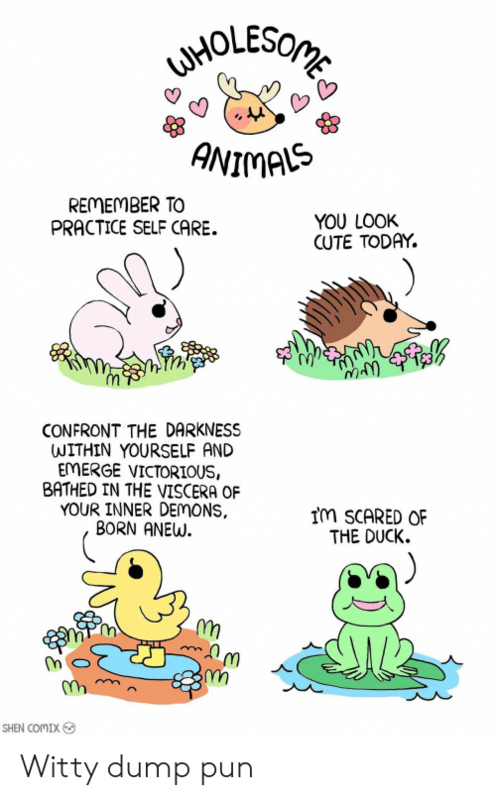 Dank, Dope, and 🤖: THESE SPOILERS ARE SO DOPE You shouldn't read this panel. 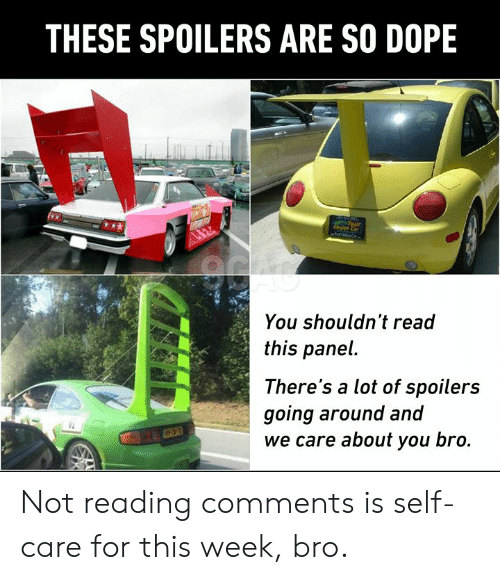 There's a lot of spoilers going around and we care about you bro. 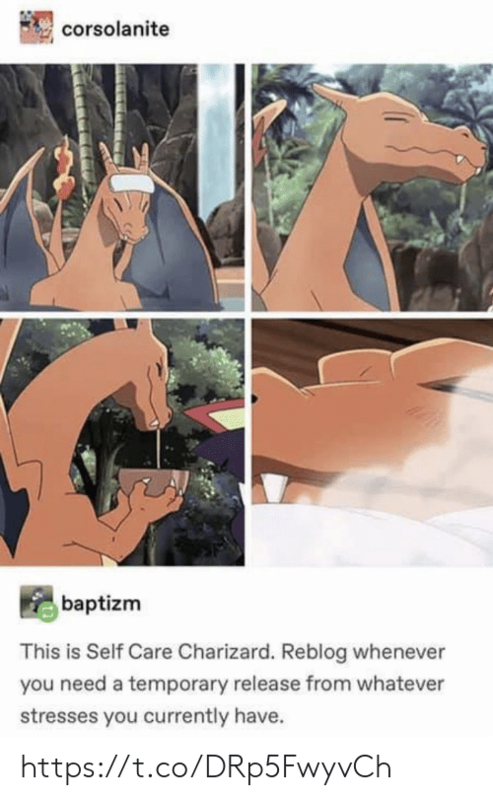 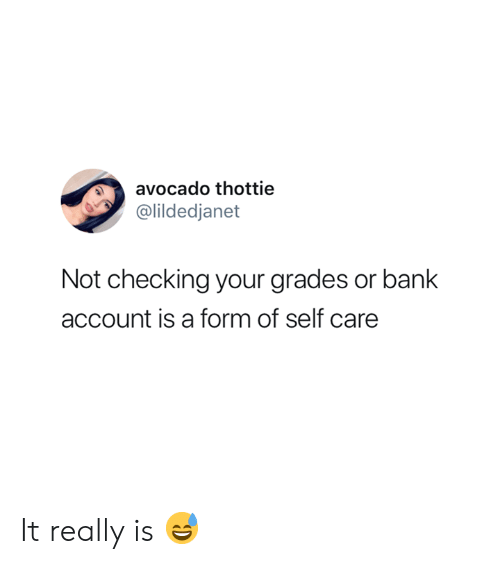 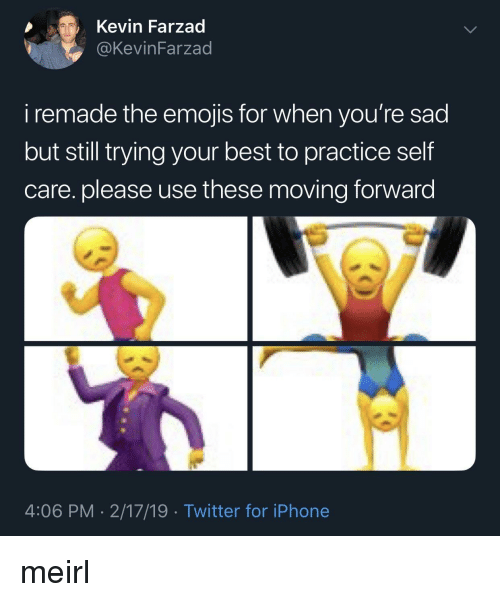 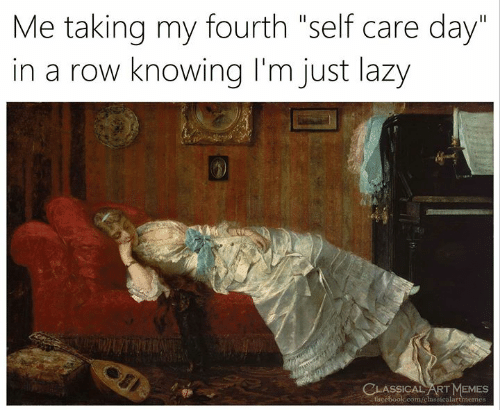 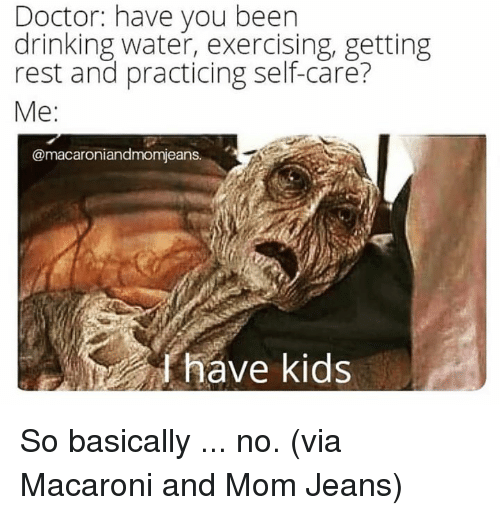 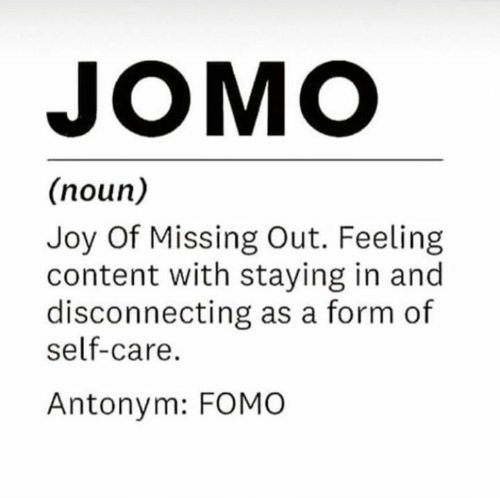 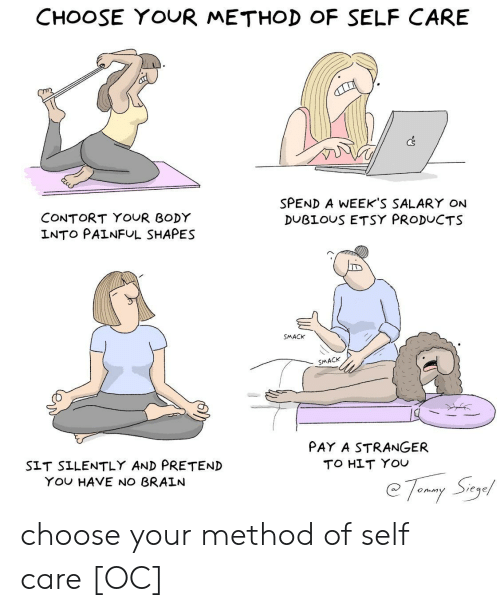 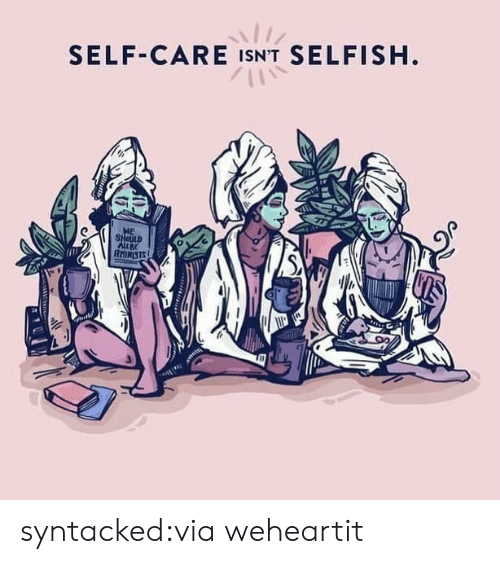 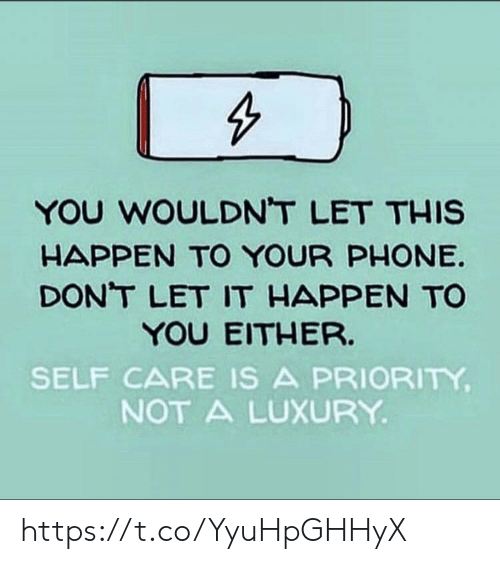 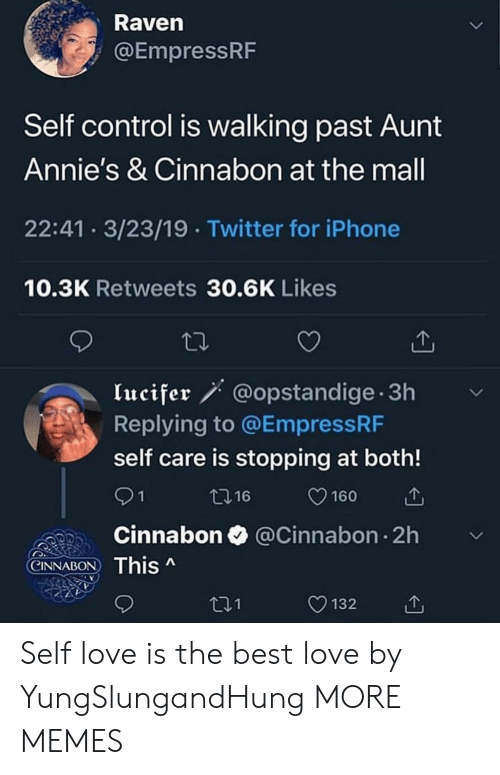 Not reading comments is self-care for this week, bro. Not reading comments is self-care for this week, bro. 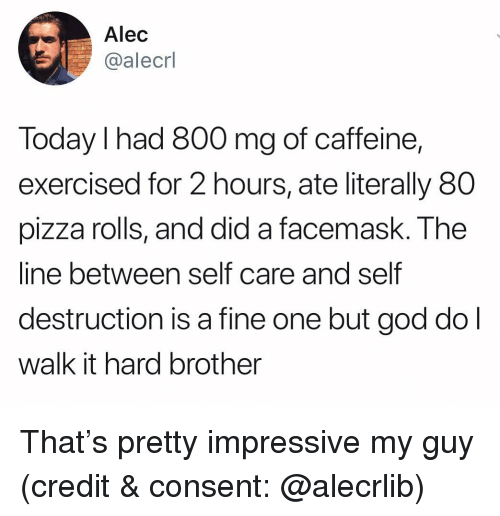 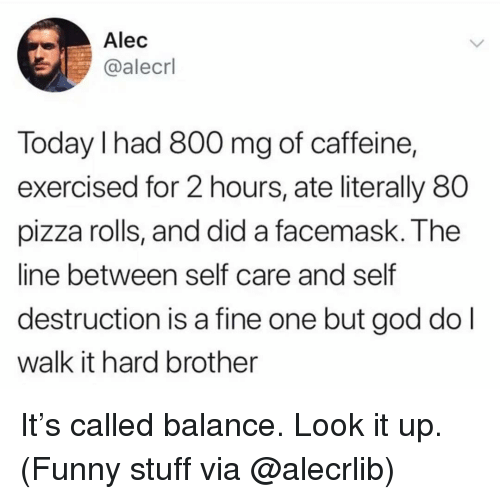 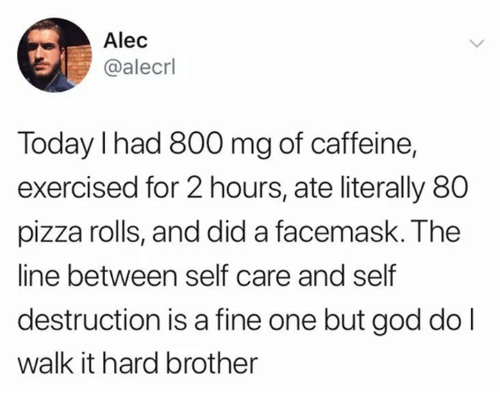 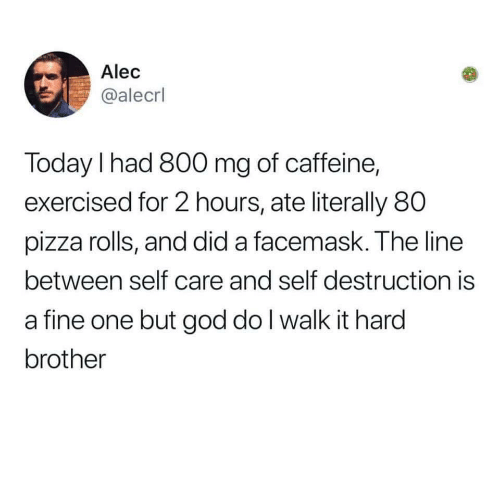 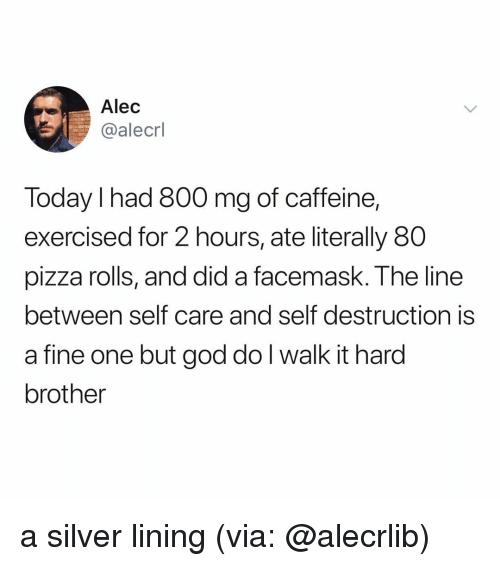 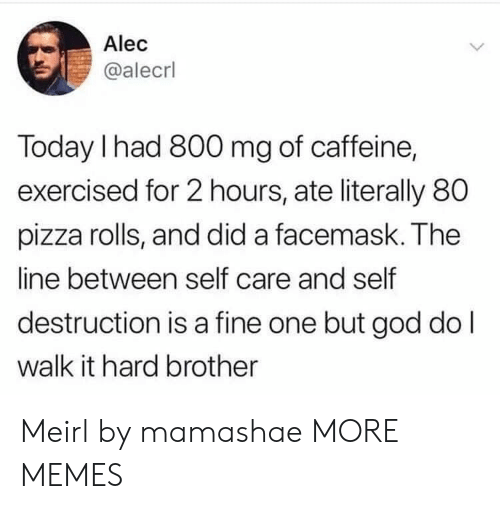 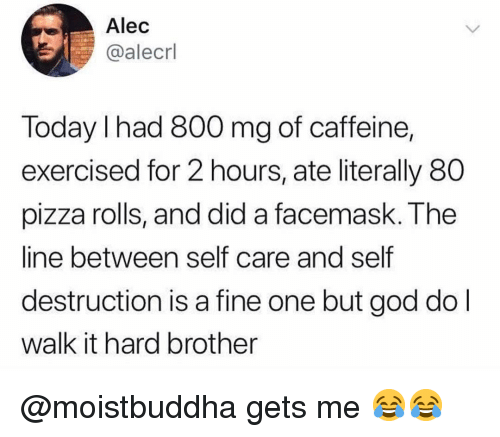 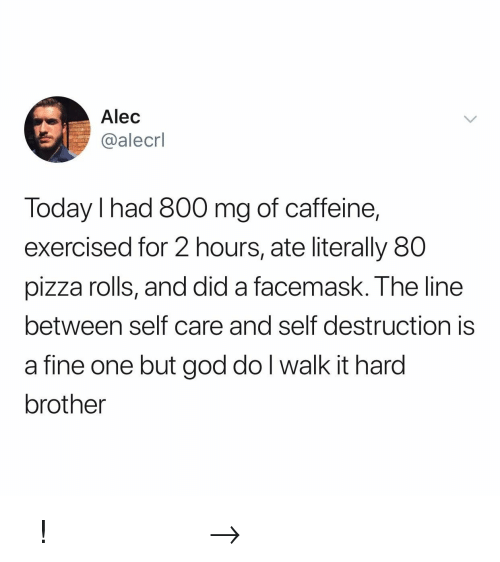 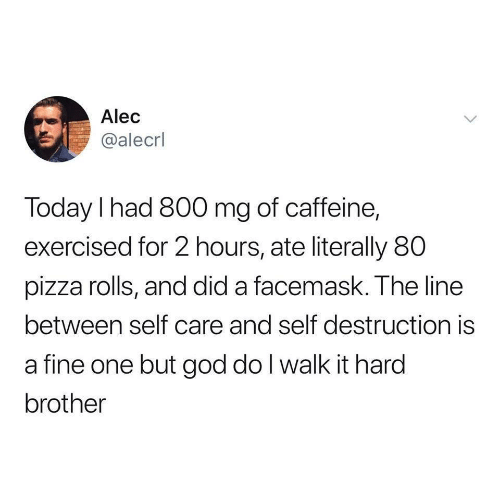 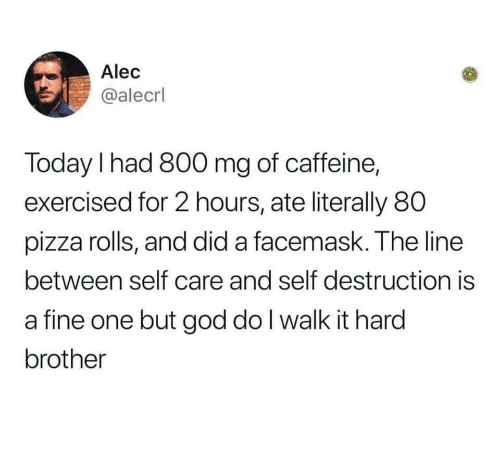 Dank, God, and Pizza: Alec @alecrl Today I had 800 mg of caffeine, exercised for 2 hours, ate literally 80 pizza rolls, and did a facemask. 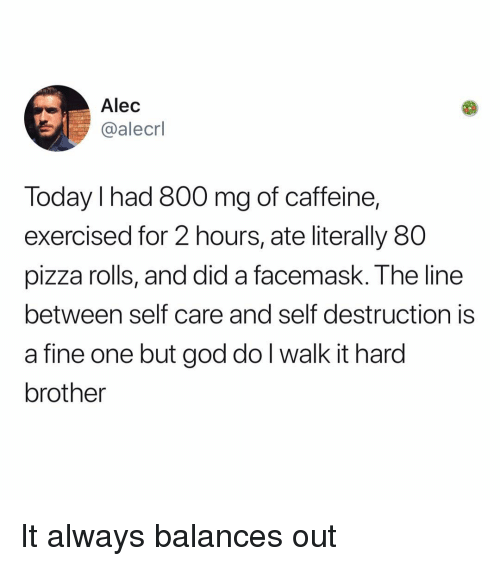 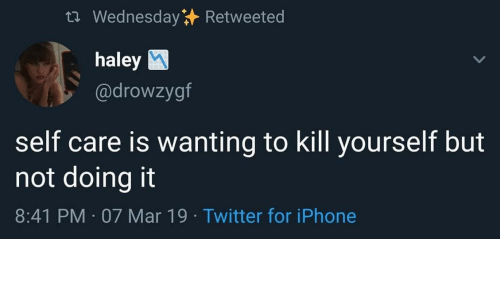 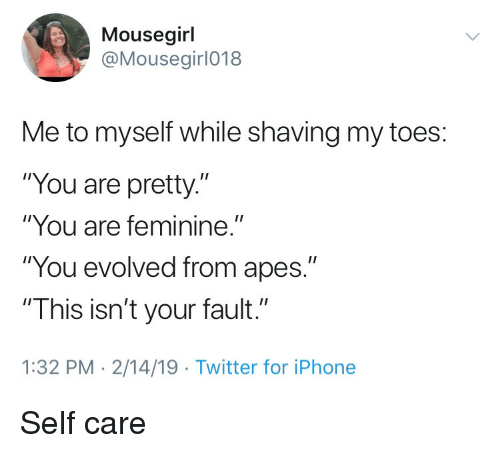 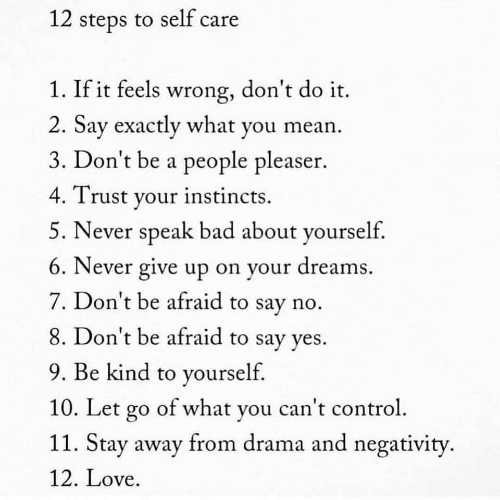 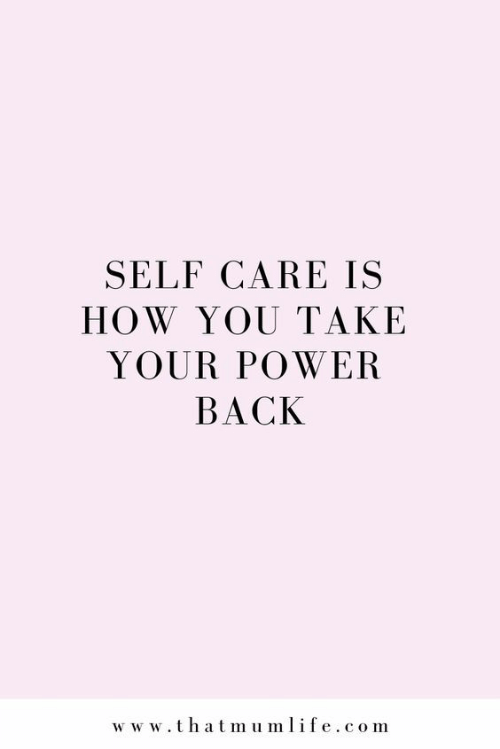 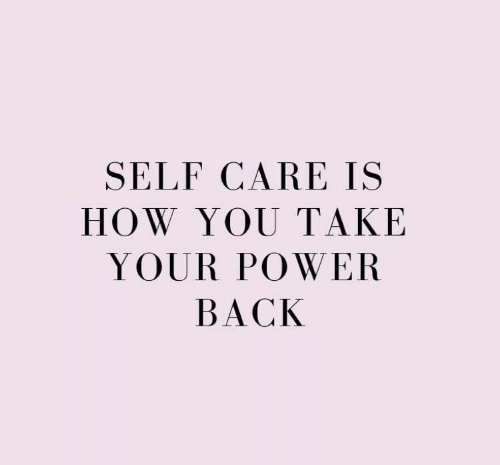 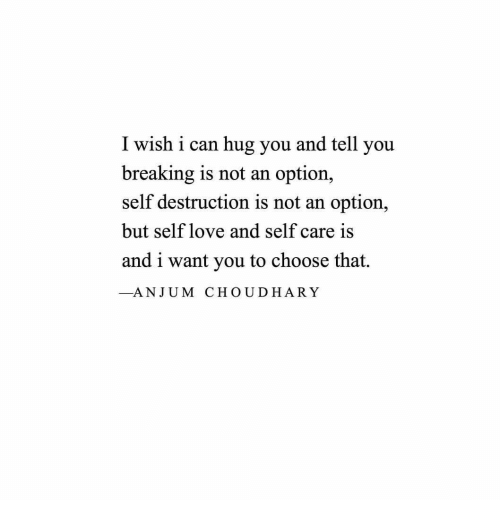 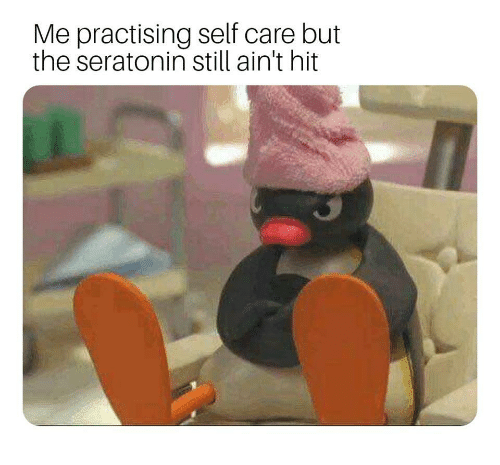 The line between self care and self destruction is a fine one but god do l walk it hard brother Walking that line like a tightrope. 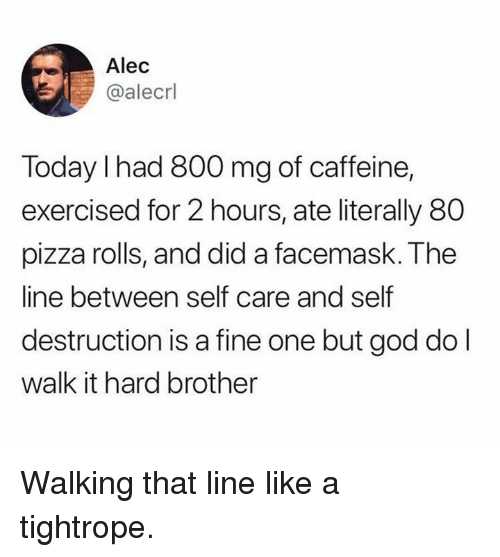 Walking that line like a tightrope.